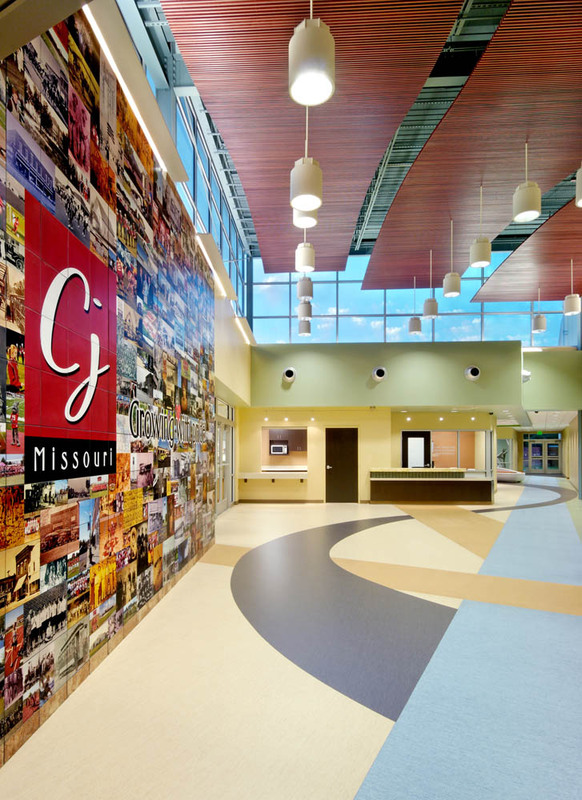 The Award-winning Carl Junction Community Center (American Institute of Architects 2012 Public Recognition Award) embodies a combination of different organizations working together to develop a multi-use structure that serves the growing needs of the community. This new 24,000 sq. 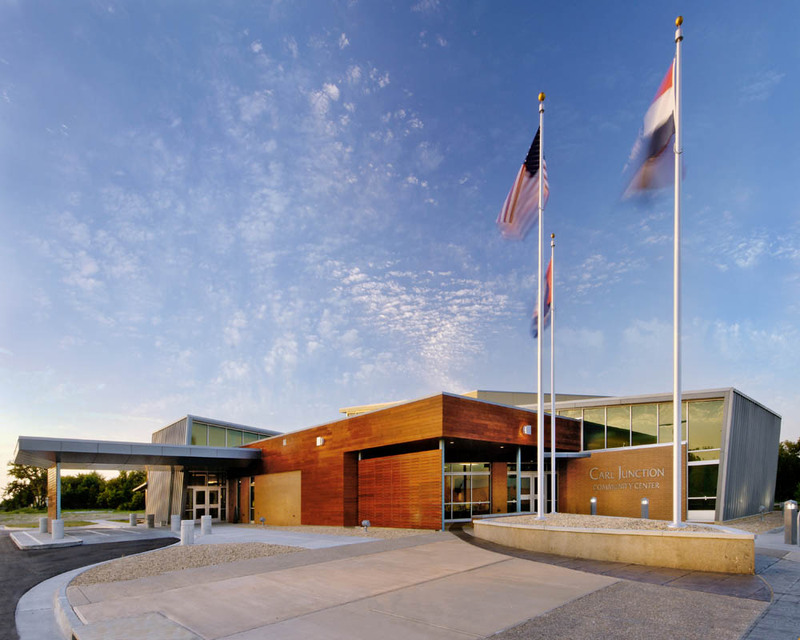 ft. building, located in a bedroom community on the outskirts of Joplin, whole-heartedly exemplifies the emerging design paradigm known as a “Fusion-Facility.” As defined by Mills & Medici (2012), “fusion facilities bring together two or more programs previously housed in separate buildings into a single location.” This new facility configuration offers multiple benefits including new revenue sources, creative funding options, and lower initial construction costs. 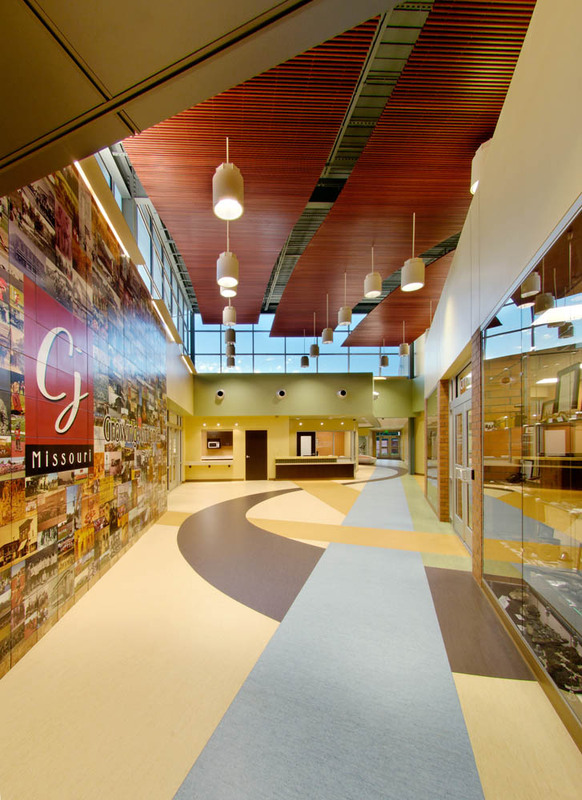 It not only integrates diverse interest groups, but is easily adaptable to accommodate future expansion and demonstrates sustainability and energy efficiency. The property procured by the city of Carl Junction for the new Community Center was once a railroad spur line and industrial park. In 2003, a tornado tore through Carl Junction, destroying several structures including the industrial buildings in this area. Following the cleanup, the site was converted to a makeshift baseball field, built up with uncompacted fill dirt and debris. 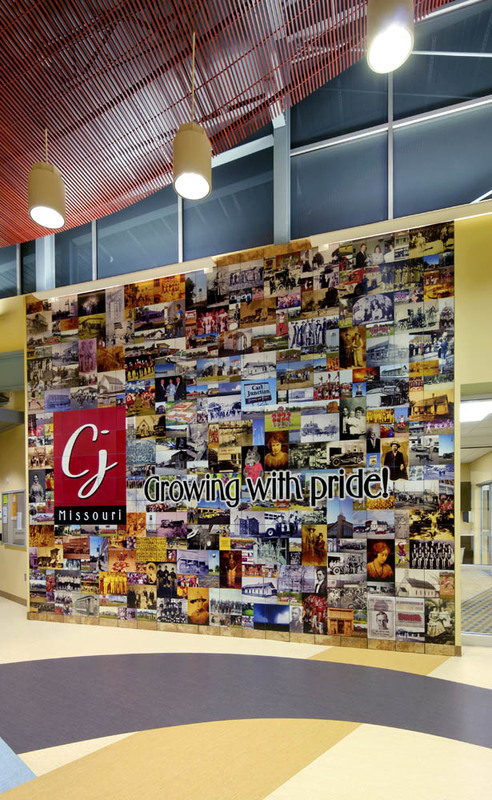 The City of Carl Junction opted to build their new community center on this industrialized piece of property in order to address some of the issues that have plagued this site and those surrounding it, as well as take advantage of its location. A major benefit to the site was its connection to Main Street. It was important to the community that the new facility would help promote the revitalization of Main Street and create an impetus for the downtown revitalization efforts. Because of the combined efforts of this small community of 7,500, the facility has become greater than the sum of its parts. The City was able to partner with the Senior Center and pool their resources to accomplish much more than they would have been able to do separately. 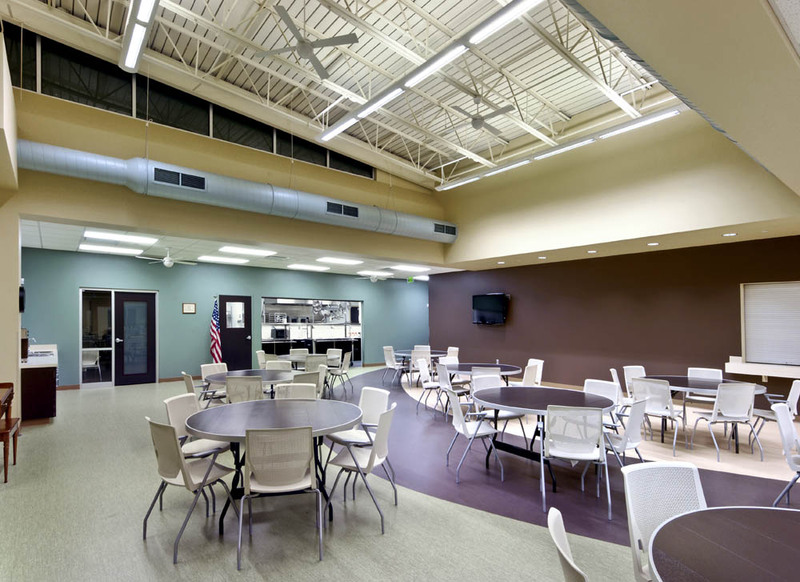 Through a combination of integrated interests and needs, they were able to share spaces that would otherwise be unoccupied during much of the day if each organization were to build a separate facility. 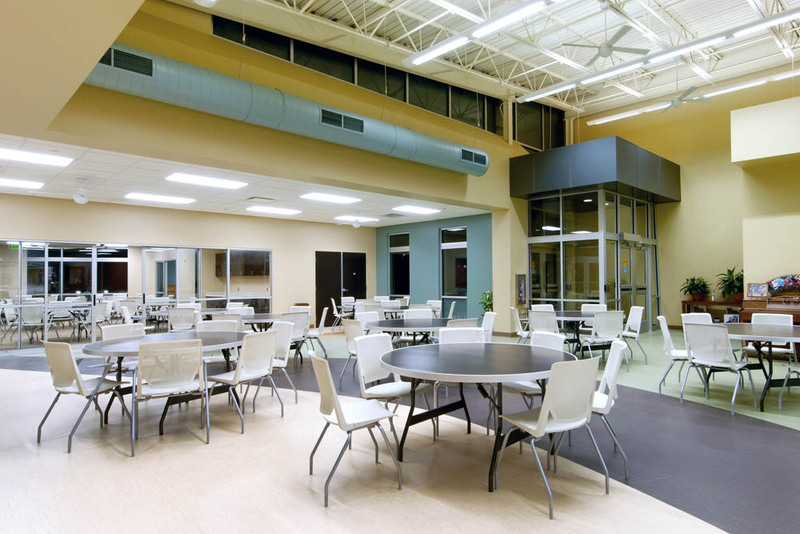 Therefore, the Community Center could be enhanced with amenities instead of burdened with excessive, low-use square footage. 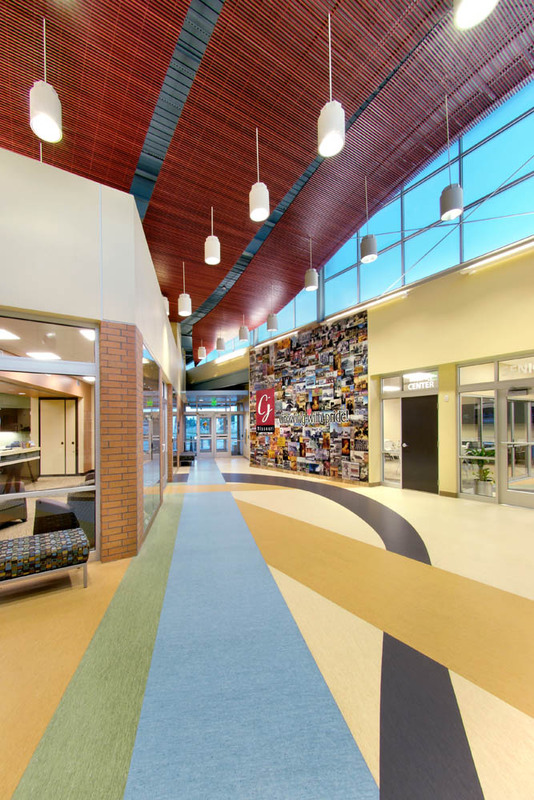 Housed within the building is a series of overlapping programmatic elements: Senior Center, Dining Hall, City Hall & Council Chambers, Record Storage, Recreation & Fitness, Event Space, Media Center, Indoor and Outdoor Classrooms, and Youth Lounge. 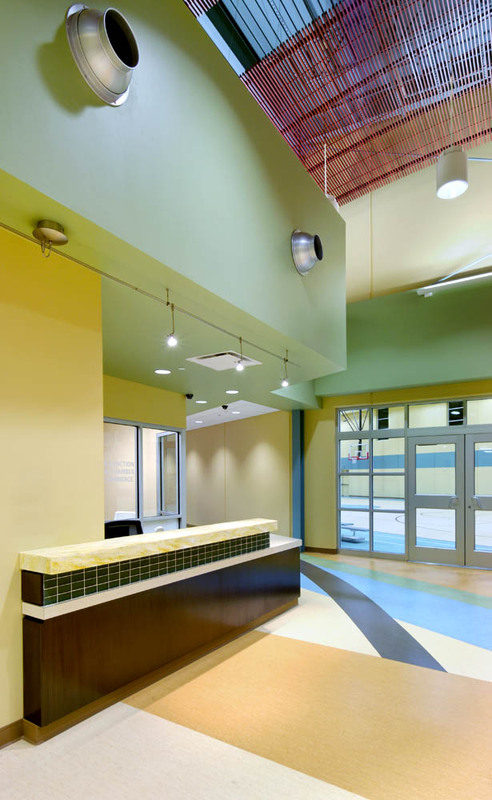 The main lobby acts as a bonus gathering space, as well as a central control point to all of the activity spaces. It was sized to allow for plenty of display space and to house a replica of a prehistoric mammoth skeleton, which celebrates the community’s rich and intriguing history. 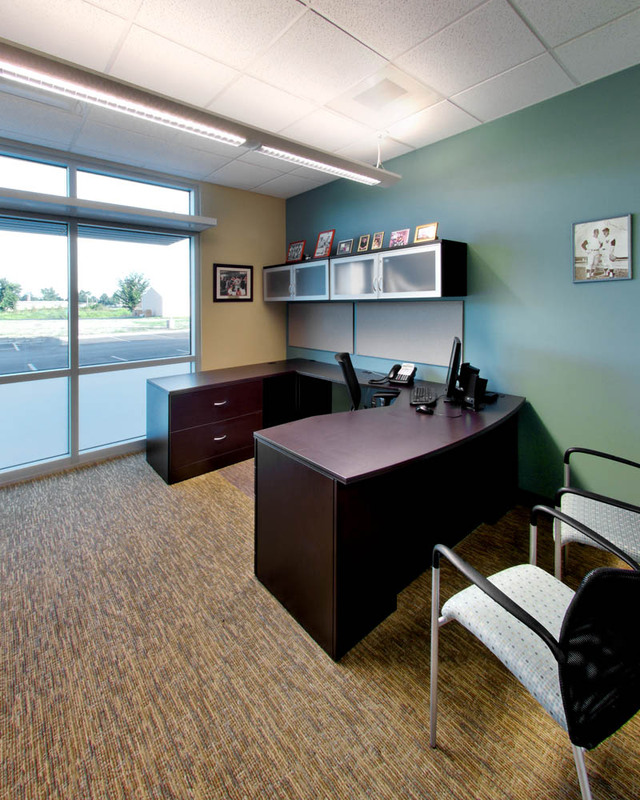 Visibility to each space is important for supervision and creates a vigorous sense of action within the building. The organizational layout was adopted from the grid-pattern of the town as it was bisected by the angled railroad line. 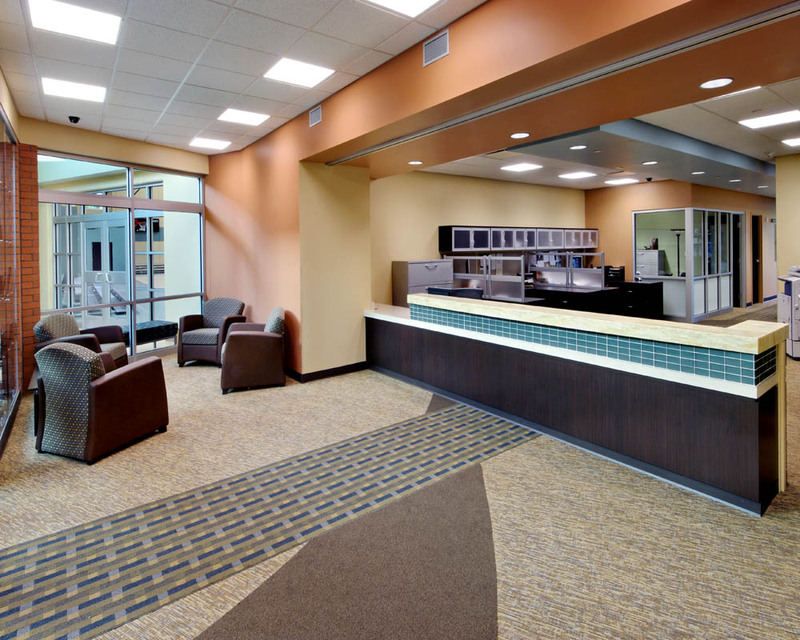 All of the major activity centers are organized around the lobby and are designed with flexibility in mind. 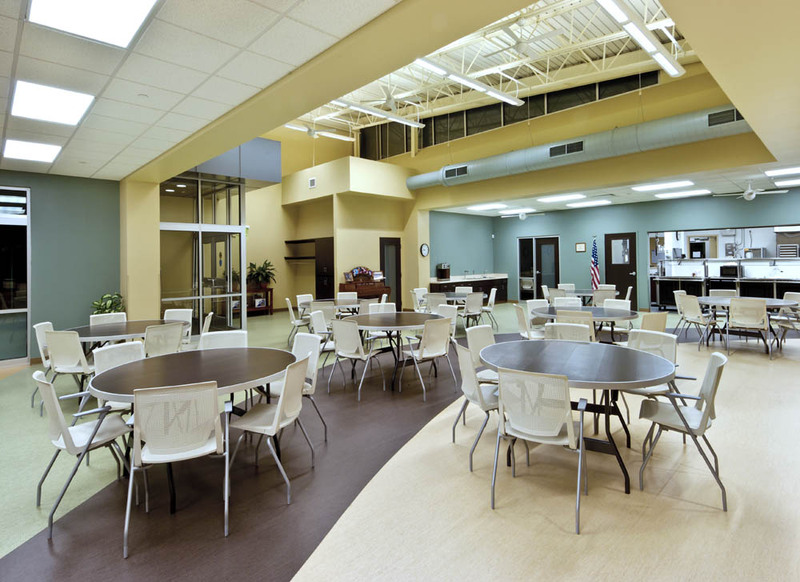 The senior center is occupied until the afternoon, at which point it becomes a rentable venue for evening activities, adult continuing education, or after-school programs. 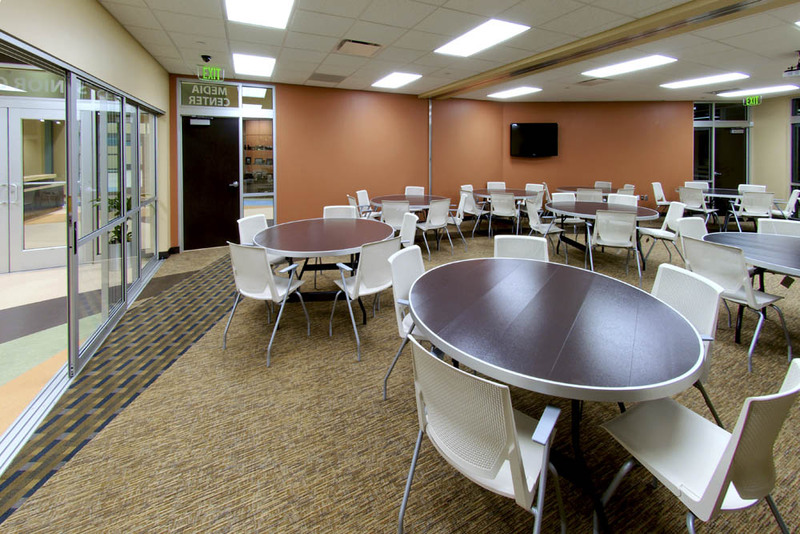 Community rooms can be expanded into the senior center for large events. 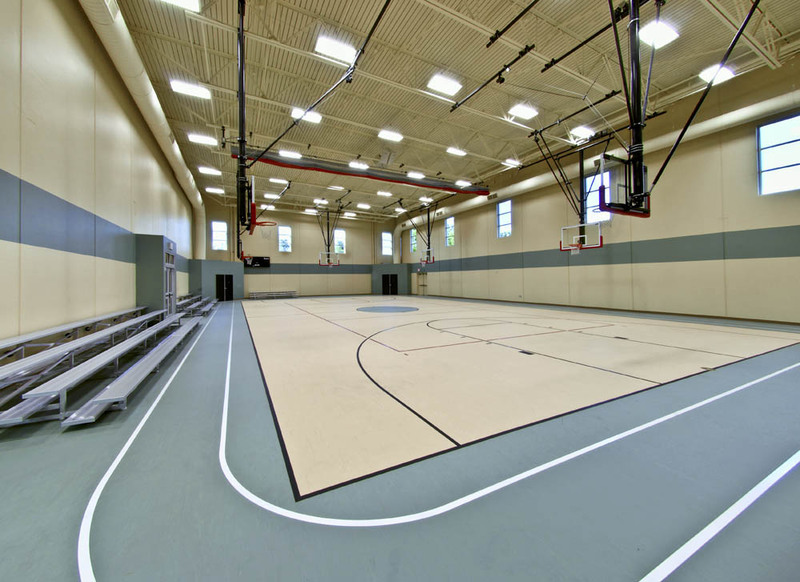 Within the gymnasium, athletic rubberized flooring – in lieu of the traditional wood flooring – allows a variety of functions from tournaments to tradeshows without compromising the flooring material or the playability of the surface. The fusing of activities goes beyond mere function. 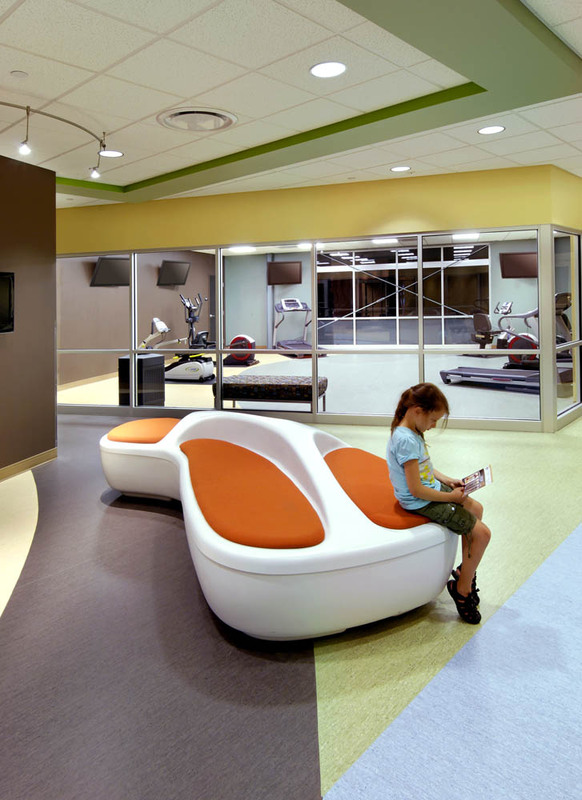 The facility’s interior materials are utilized to express the interweaving of uses and promote a user-friendly approach. 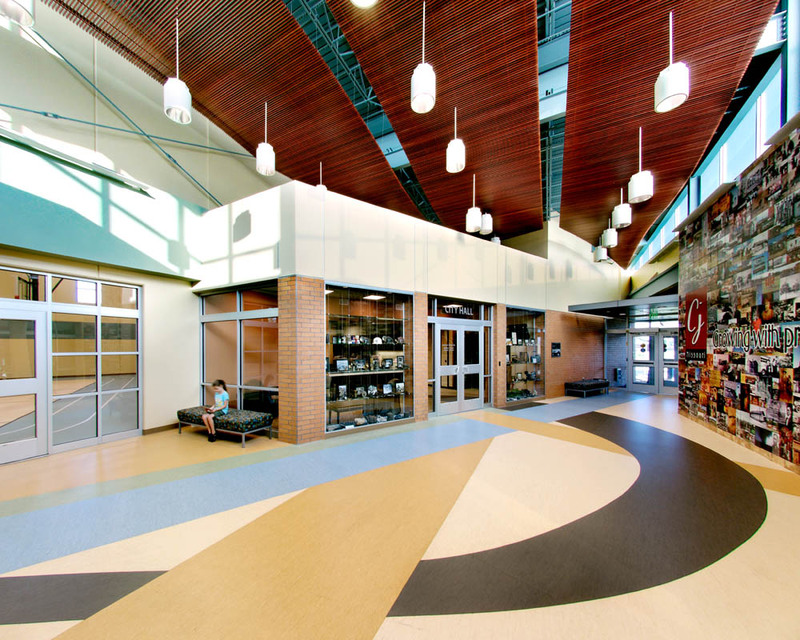 The flooring patterns provide interest and flow to demonstrate the connectivity of all spaces within the building. 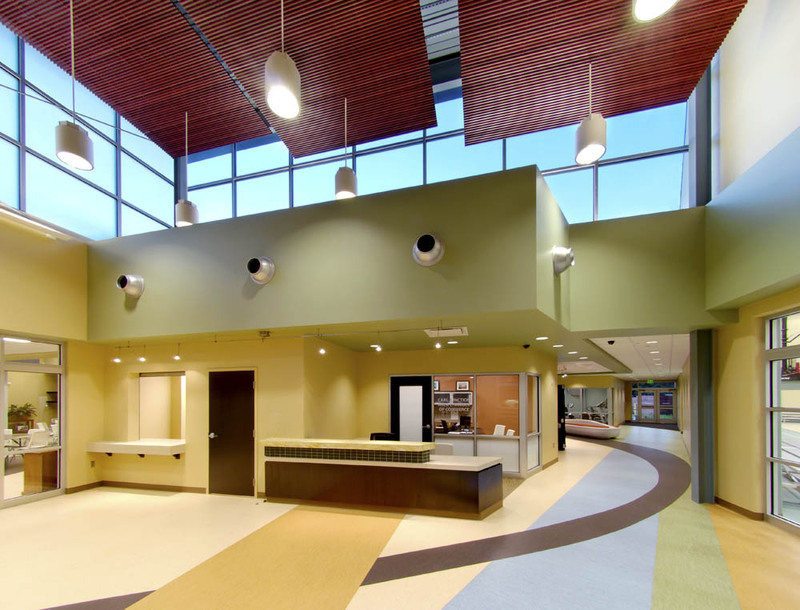 Frosted glass was utilized on west-facing walls and at the clerestories to provide an abundance of natural light while diminishing possible glare – intolerable to senior citizens. 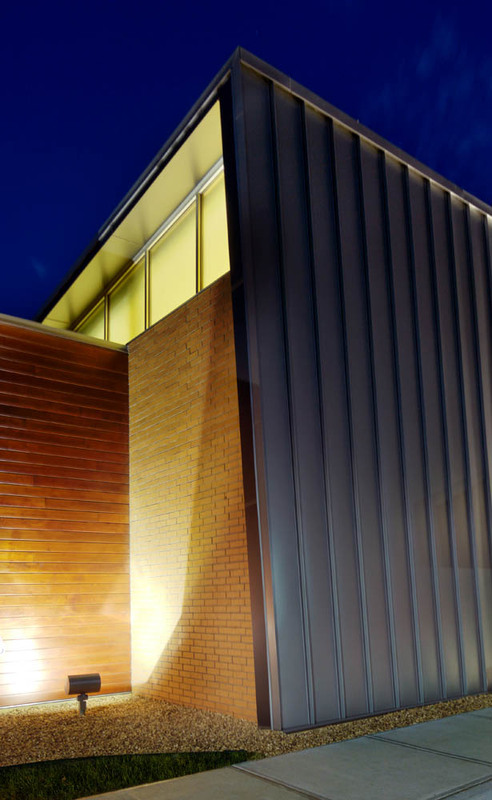 The frosted clerestory glass emits light like a glowing beacon during evening events. 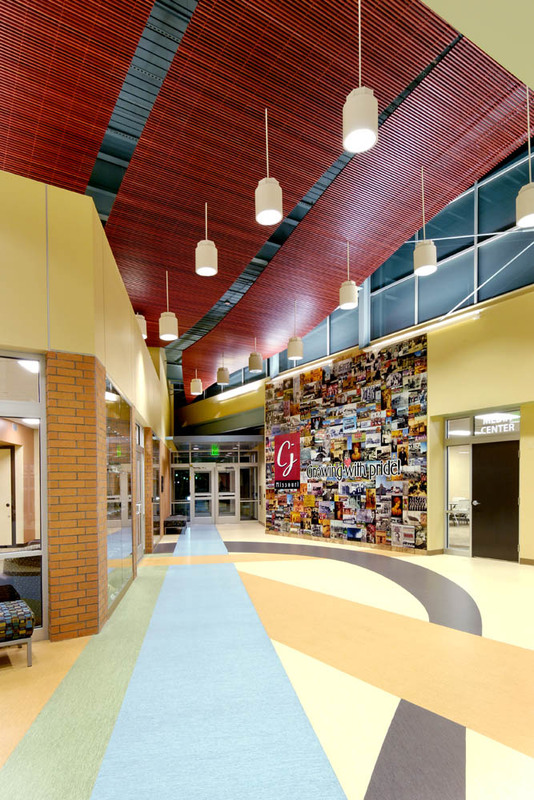 Bright colors draw the eye through the interior storefronts and into the spaces beyond. 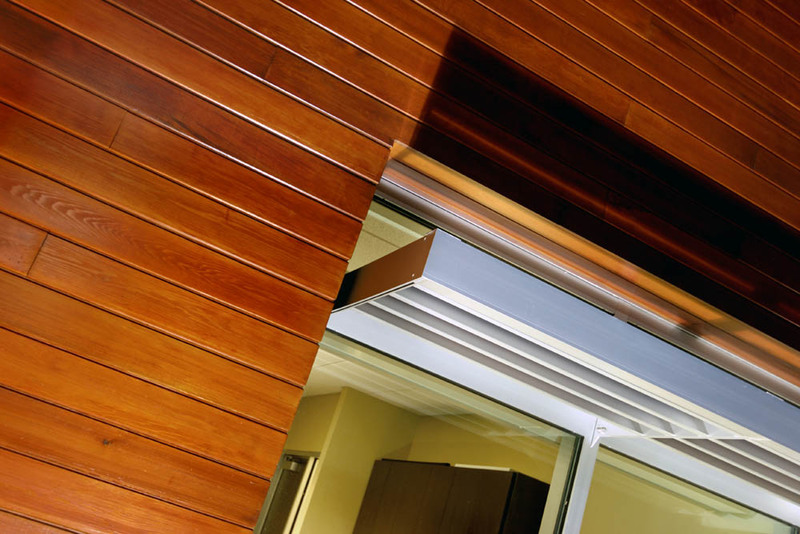 The storefront glass enhances the idea of connectivity and activity while providing an acoustical separation. 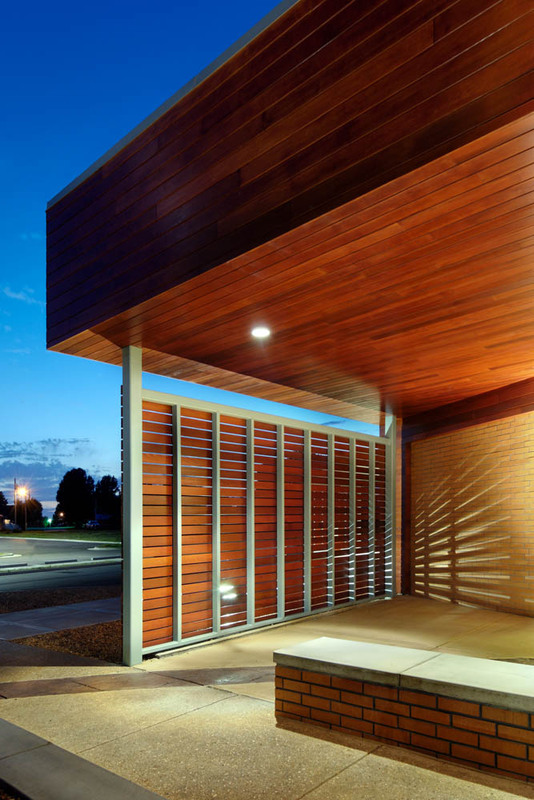 Because of the Community Center’s significance to the city of Carl Junction, it was important to provide durable, low-maintenance materials that could identify with the city’s history and endure for many years. 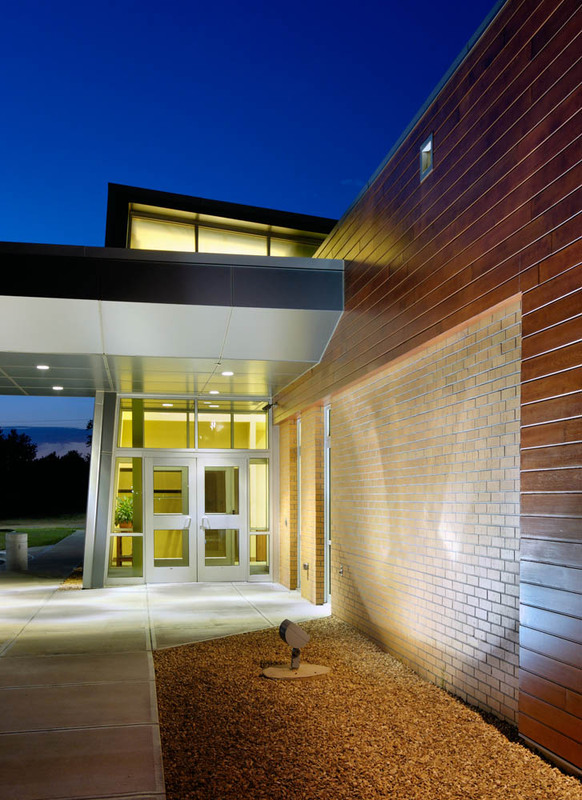 The exterior materials consist of precast concrete, brick, cedar siding, and standing seam metal panels. 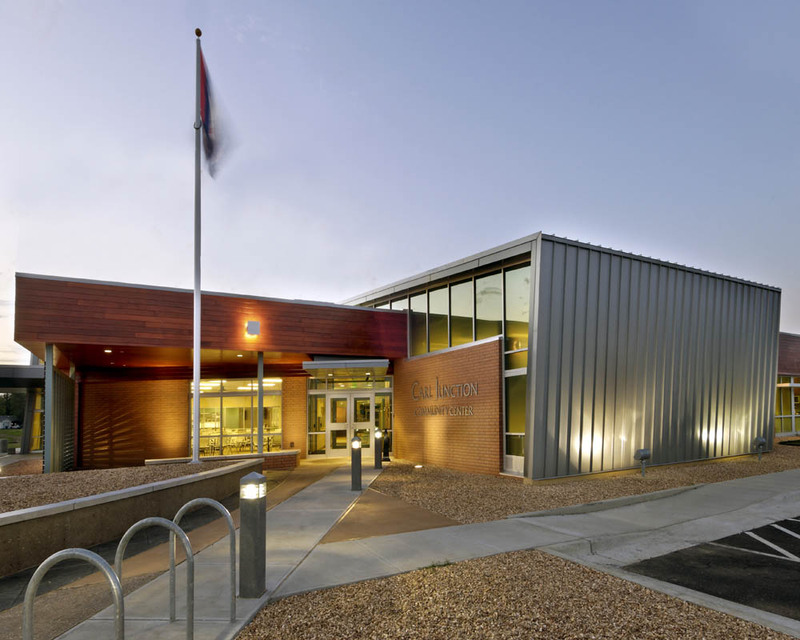 The brick and standing seam metal panels relate to the adjacent Police Station and Fire Station, as well as the historical zinc mines upon which the community was founded. 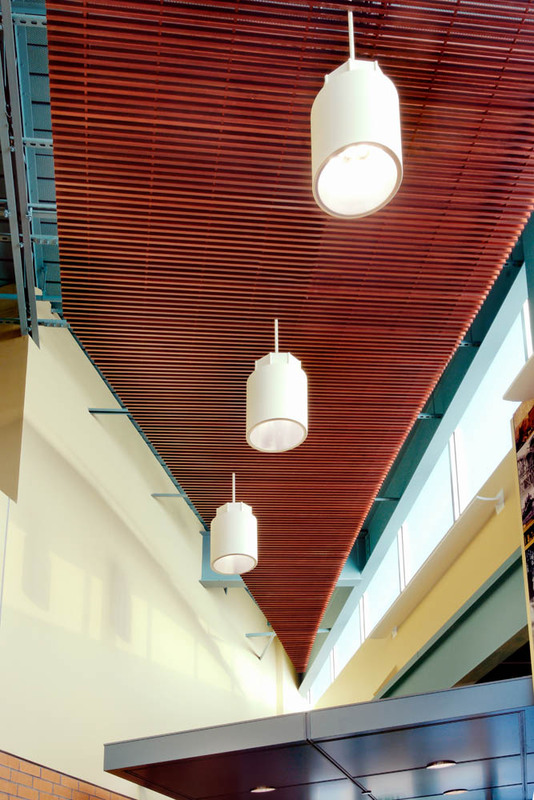 However, the cedar siding was selected as a durable, yet unique material, to create a sense of hierarchy amongst the Civic buildings. 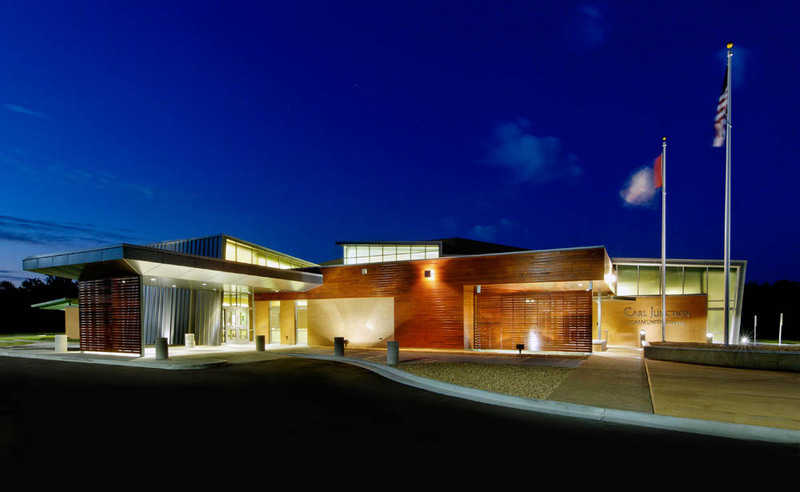 As a publicly funded facility, open typically sixteen hours a day, it was critical that the building have low operating costs. Energy-conservation measures included utilizing regional materials, the installation of a ground-source heat pump system, super-insulating the exterior building envelope, capturing daylight and views, using high-efficiency lighting and occupancy sensors, low-flow plumbing fixtures, and a roof sloped appropriately for future installation of solar panels. 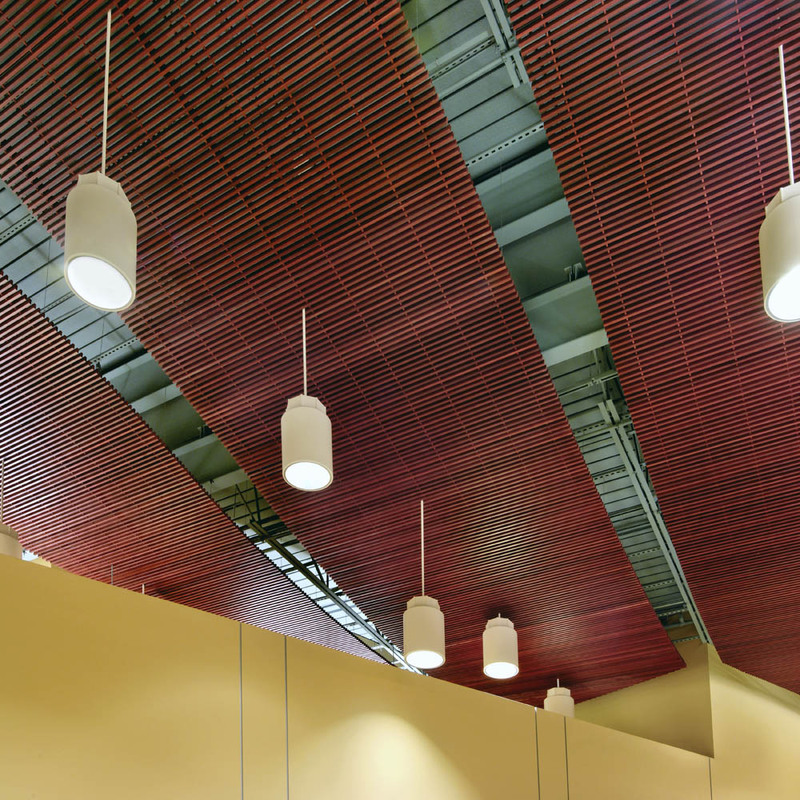 Due to its energy saving strategies, the City has a much lower operating cost compared to a traditionally constructed building. 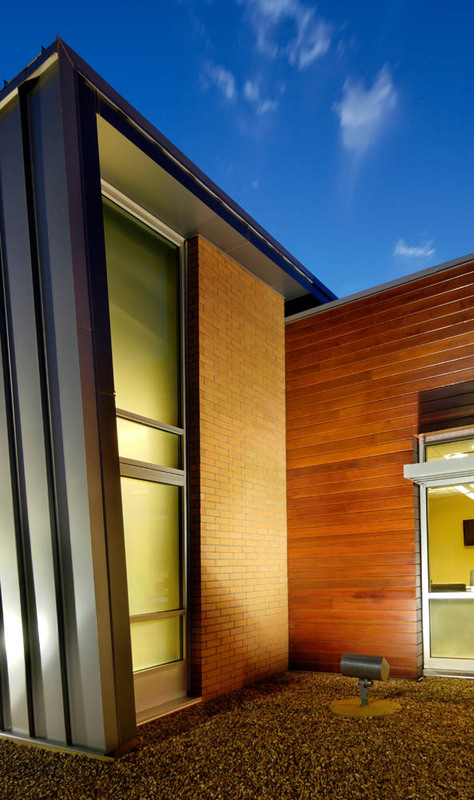 This award-winning building now terminates the vista from Main Street, and has become the focal point for the future Civic Campus. 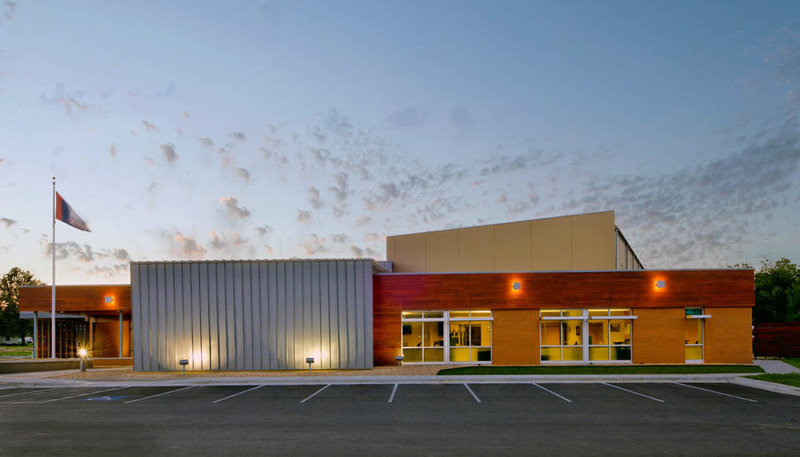 Since its opening, the Community Center has become a fusion-facility in its truest sense. 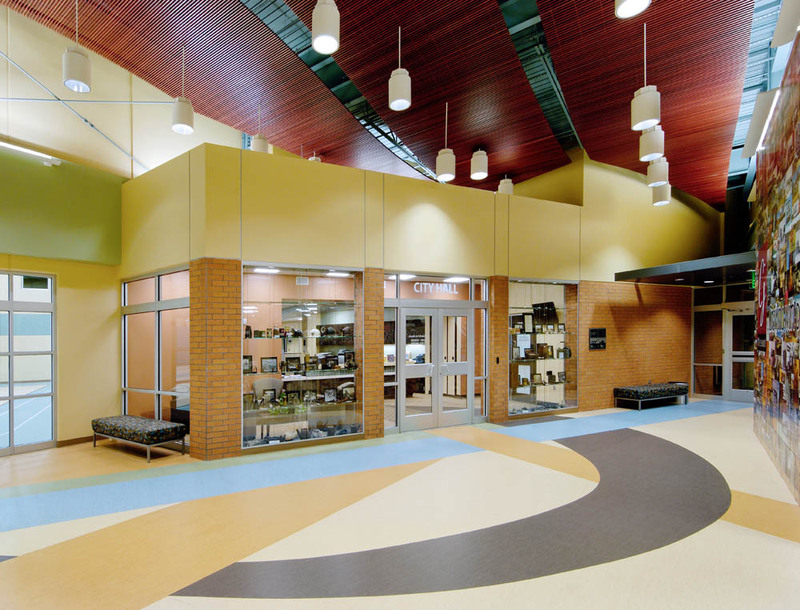 It is a bustling, synergetic activity center full of students, adults, and senior citizens throughout the day. 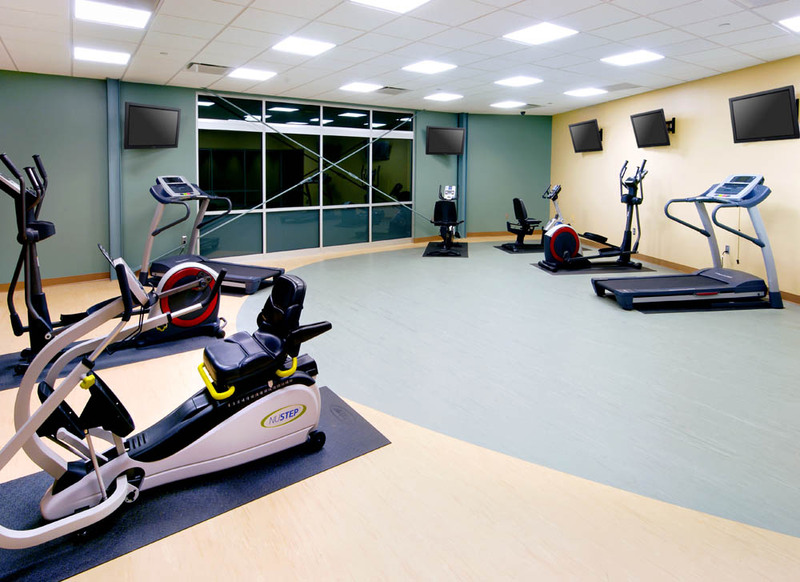 Demand for gym time is encouraging the City to explore future expansion options. Fitness memberships continue to grow. Senior citizens have begun operating a volunteer-staffed lending library from the Senior Center. 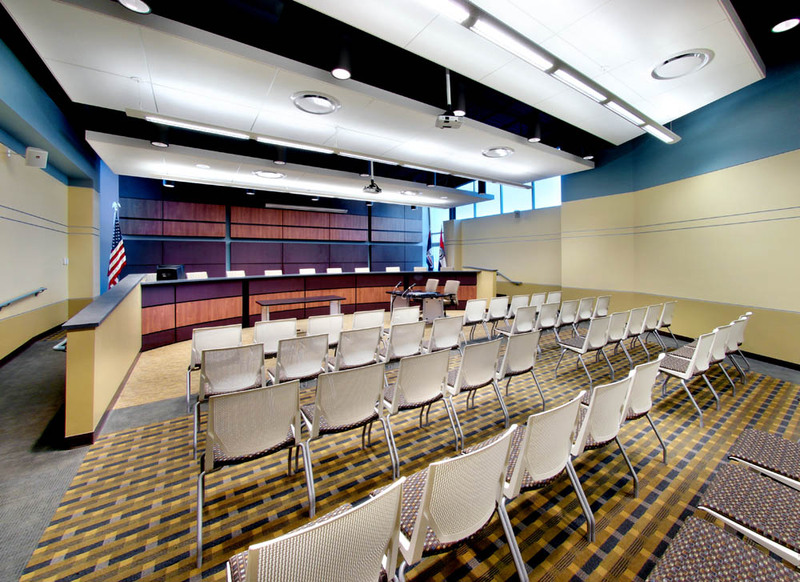 The Chamber of Commerce has currently taken up residence in the spare spaces slated for future growth. And finally, “Claudia,” the prehistoric mammoth, has found a home within the display space at the main lobby. Mills, David & Medici, Michael. 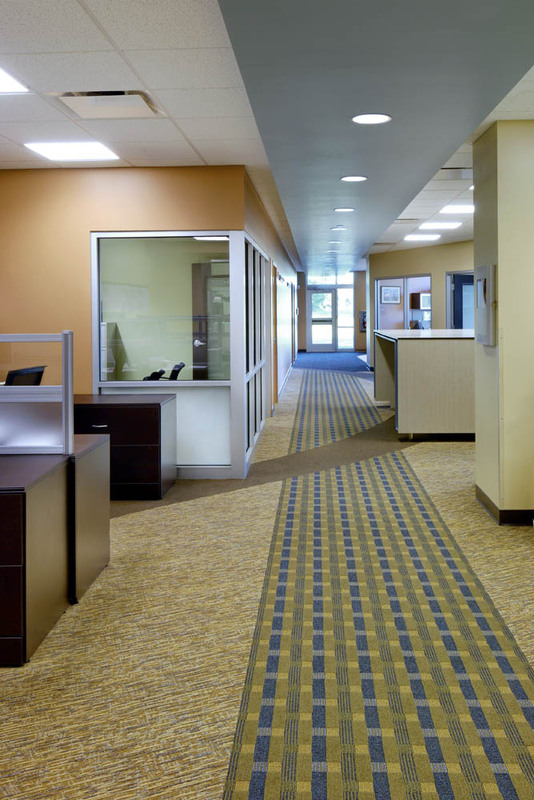 “Fusion Facilities: 8 reasons to consolidate multiple functions under one roof.” Building Design & Construction. 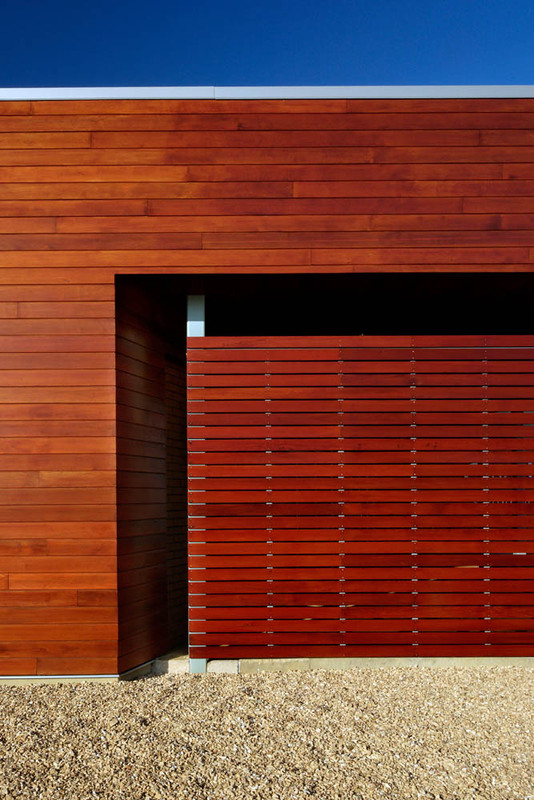 www.bdcnetwork.com. July 25, 2012.